I feel really bad writing this review because it’s been awhile since I actually saw Hugo in theaters, so I’m going off what I remember. I initially was shocked when I heard Martin Scorsese was going to direct a children’s film. I mean, the man who directed uber-masculine, extremely violent movies like Goodfellas and The Departed was going to make a movie for children?! In many of these cases it’s the mark of a sellout, but I have to say Scorsese crafted a film that makes you love the movies. From a heartfelt story of a young boy seeking a family, to an older man seeking an audience, the movie focuses on family, adventure, and the love of early film. Hugo Cabret (Asa Butterfield), has lost his father and is an orphan in the Paris train station attempting to stay one step ahead of the Station Inspector (Sacha Baron Cohen). When he gets caught stealing by a toy maker named Georges (Ben Kingsley), Hugo assumes all to be lost. 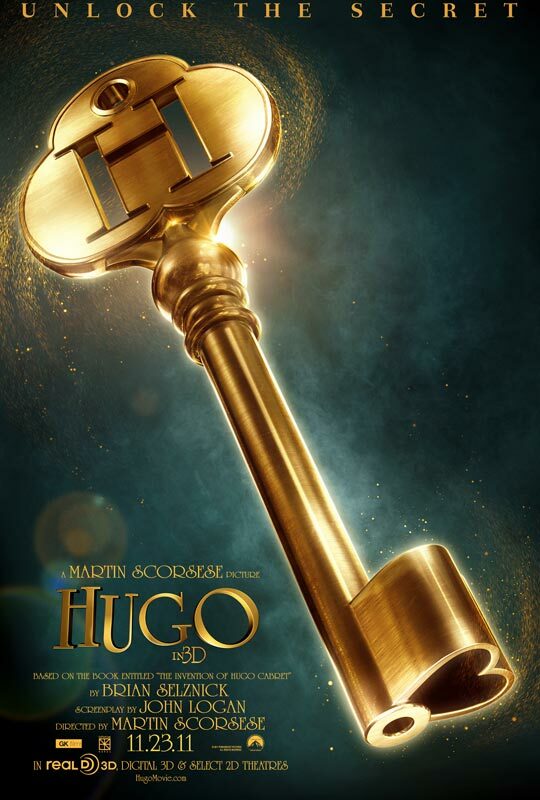 Instead, with the help of Georges niece Isabelle (Chloe Grace Moretz), Hugo will find his way and learn the truth of Georges. Scorsese has been a staunch supporter of film archiving and his story follows the fall of Georges Melies, the father of narrative film storytelling who directed A Trip to the Moon. Kingsley is amazing as Georges, a man surrounded by the rise of the motion picture, yet is utterly forgotten by those who see them. Butterfield is also a revelation, not content to rely on typical annoying child star tropes like pouting and looking cute. The story itself has several silent film moments in it. The shot of Hugo through the clock was fantastic and the numerous side characters whose stories are told without words enhance the overall story of Georges and silent film. I wish I had more to say about this movie, but it’s been so long another viewing is in order. This is THE movie of 2011 I regret not having seen.